We’re delighted to be partnering with the fantastic Work For Good – an organisation that makes it easier for businesses to donate to charity, and literally work for good. In this article they explain why companies should put purpose at the heart of their business – and an easy way to do it. 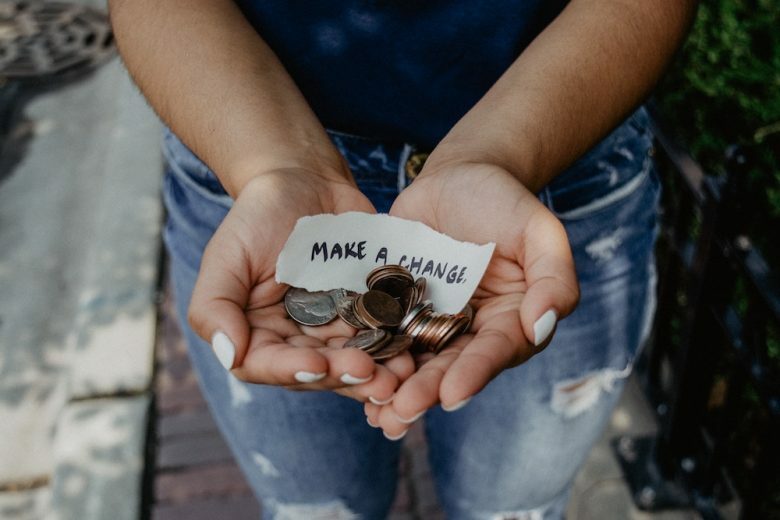 When you’re setting up your own business it can be hard to factor in­ charity donations – with barriers such as additional admin, lack of time, or the thought that you’re not big enough to make a difference standing in your way. However, we believe no business is too small to make a real difference, and placing a charitable purpose at the heart of your work can bring a variety of additional benefits. Giving to charity isn’t just a ‘nice thing to do’ it can also be incredibly empowering, personally significant and give you and your business a wider purpose that helps you stand out from competitors. While it may seem easier to wait until you’re “fully established” to commit to charity donations, the benefit in setting this up early outweigh any perceived negatives. Just knowing your work is making a difference to a charitable organisation can help spur you on through any difficult times, will give you something to feel proud of alongside your business achievements and can help attract and retain clients through showing you have an ethical business model. In fact businesses with a clear ‘Brand Purpose’ (seen as making lives better) on average grew 3 x faster over the past 12 years. But can you really make an impact? Yes. You’ll be surprised how little it can take to make a real difference to a charitable cause or organisation, especially local groups who don’t have the ability to reach out to or engage with the big business players. With a £50 donation FareShare, one of our charity partners can redistribute enough surplus food for charities to serve up 200 meals, making a huge difference to the most vulnerable people in our communities. Just proving that you don’t have to think big to act big. The easiest way to ensure your business makes a difference is through setting up a regular % donation from your profits, invoices or sales, as these will add up over time and require no extra effort on your part to achieve. Moreover, through making clients and customers aware that they too are giving something back through using your business you could increase the amount you donate, with research showing that 89% of clients would switch brands to support a specific cause. Deciding which charity out of the thousands existing you want to donate to can be daunting, to say the least. A good way to help narrow down your options is to focus on the difference you would like to help bring about, or to give back to a service or organisation that has helped you or someone you know. The feel-good factor of giving back isn’t a myth, and knowing you are playing a real role in contributing to something you are passionate about simply through doing what you love is a feeling like no other. One woman who can attest to this is Lee Lam, a disruptor consultant within the financial services who was diagnosed with breast cancer in 2016. During her treatment, Lee was fortunate to receive support from local charity the Chartwell Cancer Trust. When she returned to work she decided to donate 10 % of every invoice raised between March and December 2018 to the charity, helping the Trust continue the incredible work that helped her through their battle with cancer. Talking about why Lee gives to charity she said: “When I tell people that I give to charity through my business, I am confirming to them that my business is here to benefit all of society which is really the purpose of every business… I am able to improve my own reputation and people want to work with me because they know that in a way they are giving back as well”. A lot of legal administration. The Charities Act states that any business encouraging the purchase of goods or services on the basis that some of the proceeds will go to charity, or that a donation will be made, need to establish a ‘commercial participator agreement’ (CPA) in place with the charity. Which, of course, means additional admin. The last thing you need when setting yourself up. We do the hard work of connecting businesses with charities and handling the CPA, removing the legal, tax and admin hassle. Leaving you to focus on establishing your business and securing those all important clients or sales! When you register you have the choice of how you give, for example some consultants have chosen to donate a small % of every invoice, one restaurant has a ‘giving table’ from which the profit of every meal goes to cause, and some of our business members look to attract, retain and motivate their team through various charity pledge structures. You can be as creative as you like with your donations, and we’ll be there every step of the way to offer guidance and support. Work for Good have solved the legal and tax barriers that stand in the way of small businesses making a difference and making a positive impact through charitable giving. By joining Work for Good you’ll be part of a growing community of like-minded small business owners who have purpose at the heart of their business, and are dedicated to using their work to inspire positive change. We’d love to help you make a difference, so contact us today to speak to Anna Estop-Hall, our Head of Memberships, to find out how Work for Good could benefit your business. Talented Ladies Club readers receive 50% off Work for Good’s membership fees for the first year by using the discount code TLCWFG at the subscription phase here.